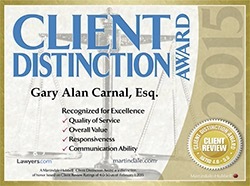 Experienced real estate, bankruptcy, and estate planning attorneys since 1986. If you are buying real estate, financing is likely one of your biggest concerns, especially if you are a first time buyer. Our experienced St. Petersburg real estate financing attorneys guide clients through real estate transactions, from exploring real estate financing options to closing the sale. Here is more information about real estate financing solutions that can help you save money, avoid risks, and enjoy the full use and value of your real estate investment. In fact, these are just a few of the options you have for financing your real estate investment, and there are other factors to consider. For example, your mortgage will likely come through a financial institution such as a bank or credit union, but it could also come through the seller. Our St. Petersburg real estate financing attorneys have extensive experience structuring, negotiating, and documenting secured and mortgaged-based real estate financing transactions. Depending on your objectives, we can help you explore short-term and long-term financing alternatives—with our expertise, you will not be limited to standard financing packages if they do not serve your needs. For more information about real estate financing, please contact the St. Petersburg real estate financing attorneys at Carnal & Mansfield, P.A. to schedule a consultation. Our experienced real estate financing attorneys help you obtain favorable real estate financing in almost any transaction, whether you are buying your first home, coming out of bankruptcy, or investing in a significant amount of property. We also insist in real estate title insurance law. Our goal is to protect your interests.